FRiENDi mobile announces the winners of the raffle draw for the El Classico promotion. 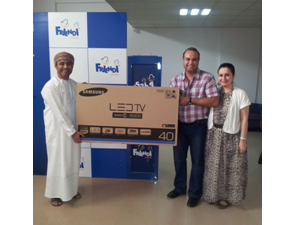 Muscat: 28 August 2012 - FRiENDi mobile, the sultanate's 3rd biggest mobile service provider today announced the winners of the recently conducted raffle draw for its El Classico promotion. Ms. Parveen Hussain is the grand prize winner and all is set to fly to Spain and watch the most followed club football match in the world: The clash of FC Barcelona and Real Madrid.  “I have been using FRiENDi mobile for more than a year and I am very happy with the offers and services provided by the company. I was taken by surprise when I was informed about the grand raffle prize and I’m so happy to get the chance to go to Spain”, says Parveen. Ever since its launch, FRiENDi mobile has always believed in innovative offers and services and has come up with solutions that are focused, straightforward and cost effective. FRiENDi mobile has been offering great value to its customers and its success is a result of its full range of mobile services like low call rates, excellent call quality, fantastic network coverage and friendly six-language customer service staff. FRiENDi mobile is an international telecommunications group, headquartered in UAE, with presence in Oman, Jordan and Saudi Arabia, with more countries opening soon.